A platform for the games industry to help out the smaller budgets of indie developers and bring people closer together is in need of crowdfunding support on Kickstarter. 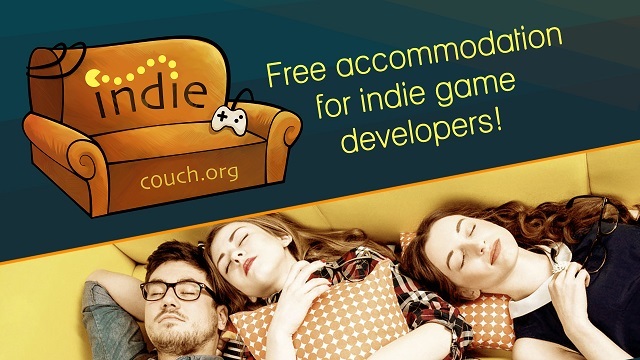 Dubbed Indiecouch, the project promises free accomodation to developers in need of a place to lay their weary heads as they traverse the game industry event landscape. Like couchsurfing, but centered around game events for indie developers, with indiecouch.org you can stay for free in another country and meet people just like yourself. It’s topical, reactive and tailored for the indie scene. Our idea is supported by communities like Indie MEGABOOTH, indieDB and festivals like the Nordic Game Festival & SCREENSHAKE, Patrick Seibert the founder of the initiative said. For more info you can check their Kickstarter, which is still some way from being funded with just under two weeks to go. The Kickstarter video features among others Rami Ismail, founder of presskit() and one half of Vlambeer.